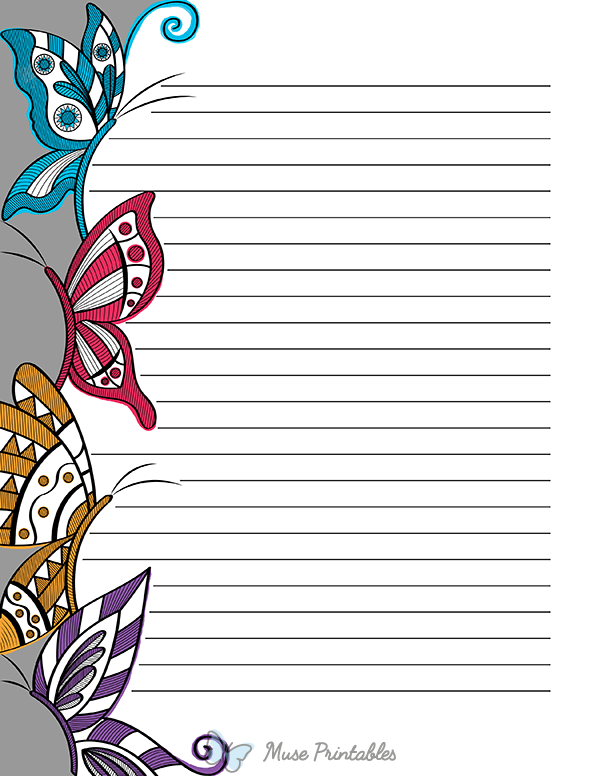 Doodle-style butterflies in blue, red, yellow, and purple on a gray and white background. The stationery (sized for 8.5 x 11 paper) is available with and without lines in both JPG and PDF formats. The version without lines could also be used as a page border.